•Metal emblem on temple presents this premium eyewear at the top of its class. •Soft PVC nose piece generates a cushion for a comfort fit. •Fashionable stream line design incorporates the elements of safety in trend setting eyewear. 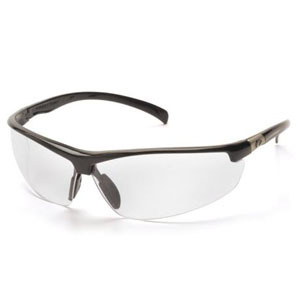 •9.5 base curve lens provides excellent side protection.